HIROSHIMA - On Aug 6, 1945, United States released an uranium bomb with a destructive force equivalent to 16 kilotons of TNT above the Japanese city of Hiroshima, with more than 140,000 estimated to have been killed. 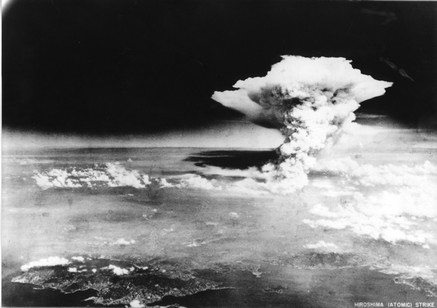 Three days later, a plutonium bomb was dropped on the city of Nagasaki, killing some 74,000 people. Both cities are once again thriving as a commercial hub, but the scars of the bombing still remain. 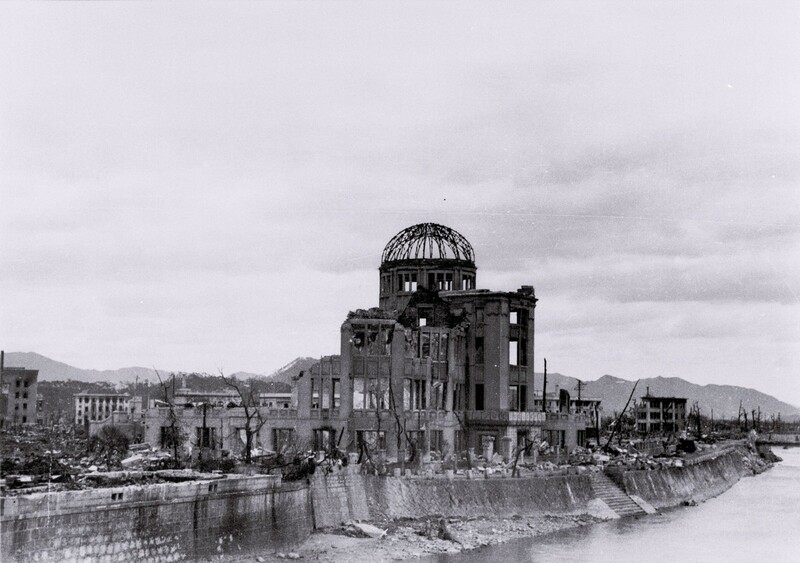 The gutted Hiroshima Prefectural Industrial Promotion Hall (C), currently called the Atomic Bomb Dome or A-Bomb Dome, in Hiroshima after the atomic bombing of Hiroshima on August 6, 1945. 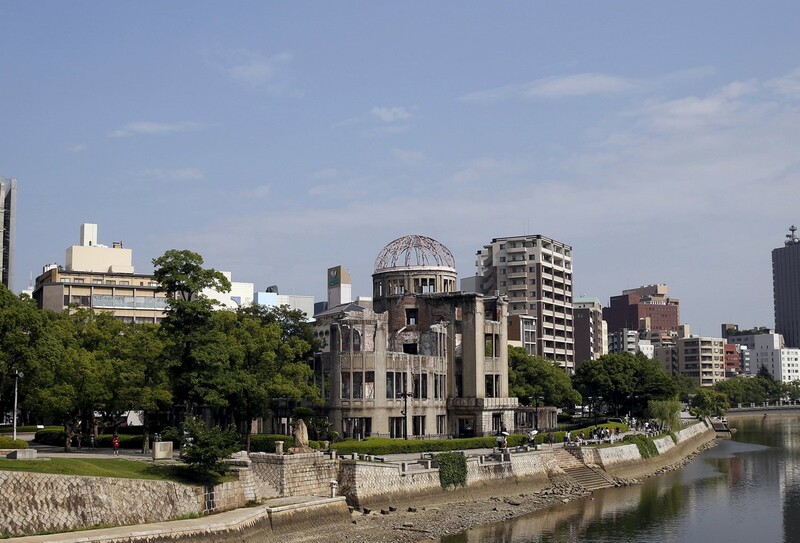 The A-Bomb Dome is seen from Aioi Bridge in Hiroshima, on July 28, 2015. 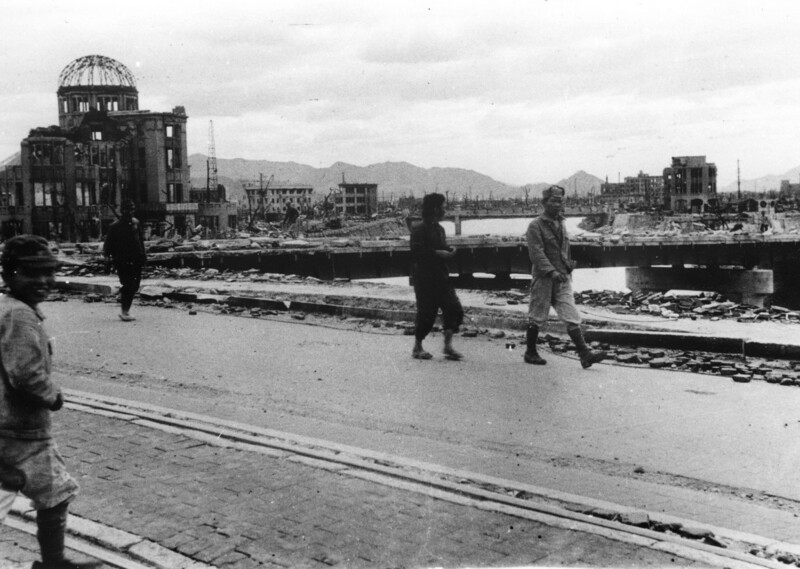 Local residents walk past the gutted Hiroshima Prefectural Industrial Promotion Hall, on the Aioi Bridge in Hiroshima after the Aug 6, 1945 bombing. 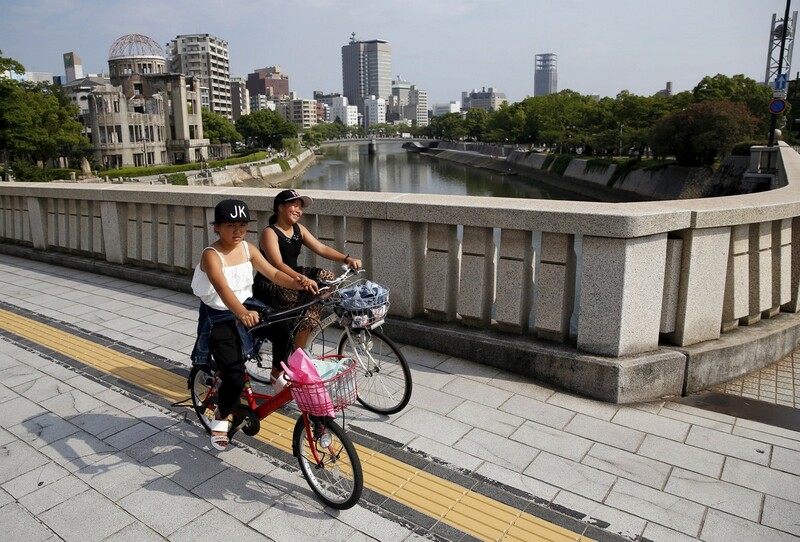 Children ride bicycles on the Aioi Bridge. The uranium bomb released on Hiroshima had a destructive force equivalent to 16 kilotons of TNT. 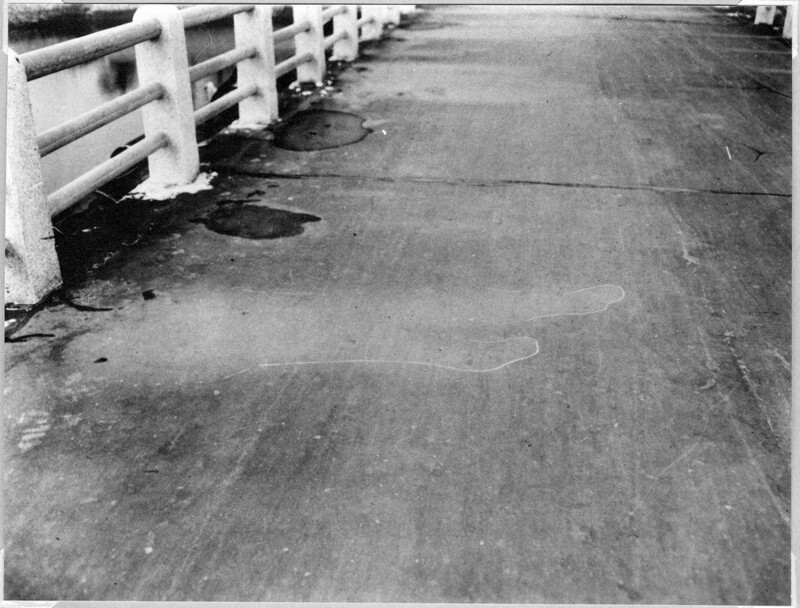 The etched shadow of a passerby is seen imprinted on the road surface of Yorozuyo Bridge, due to the heat of the atomic bombing of Hiroshima. 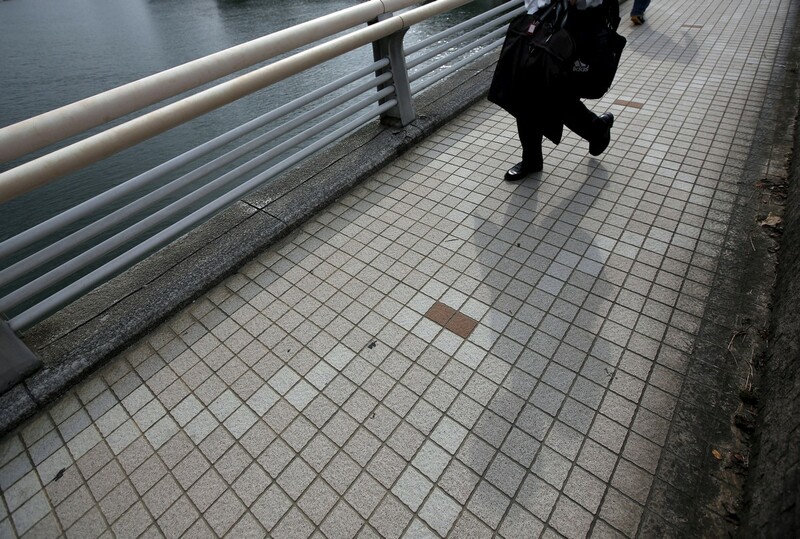 A pedestrian casts a shadow on Yorozuyo Bridge in Hiroshima. 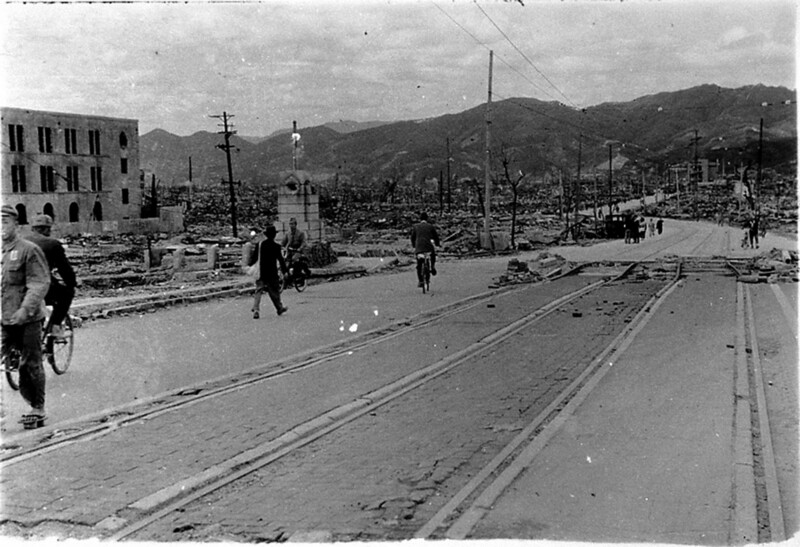 Destroyed buildings west-southwest of Aioi Bridge in Hiroshima, after the atomic bombing of the city, which is estimated to have killed more than 140,000. 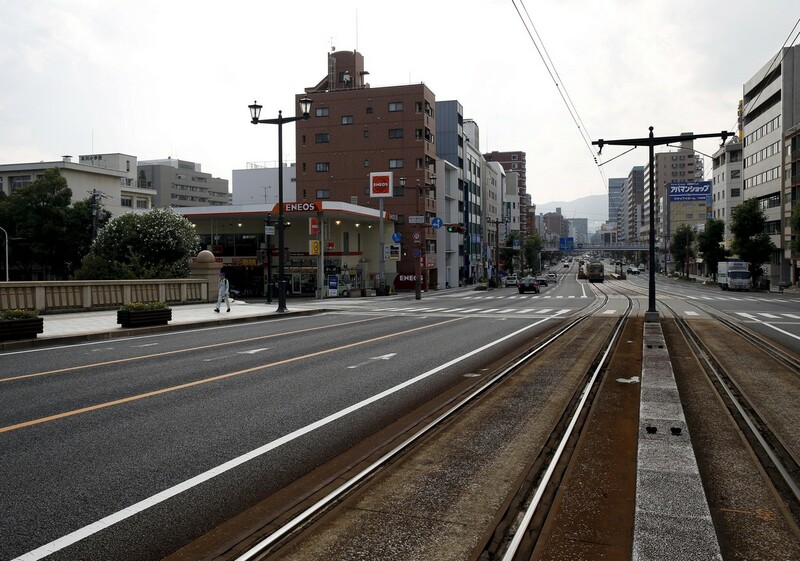 A passerby and a tramline are seen from the Aioi Bridge in Hiroshima. 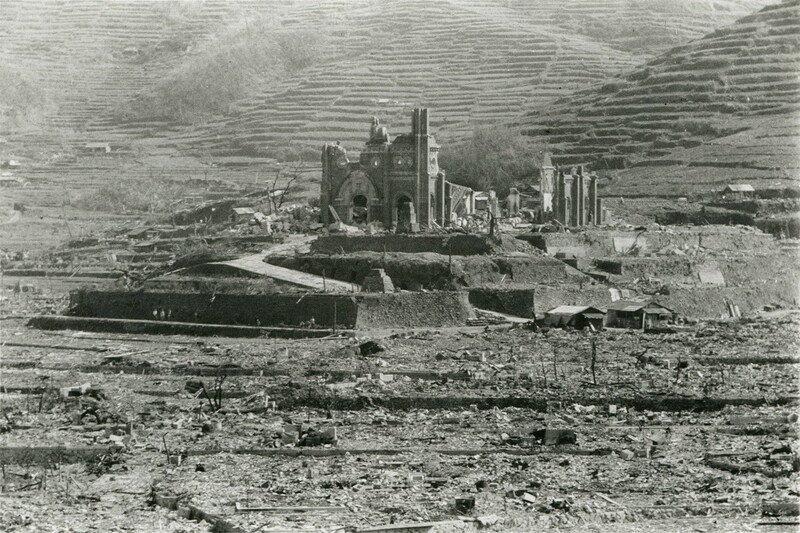 The Urakami Cathedral (C), which was destroyed by the atomic bombing of Nagasaki on August 9, 1945. 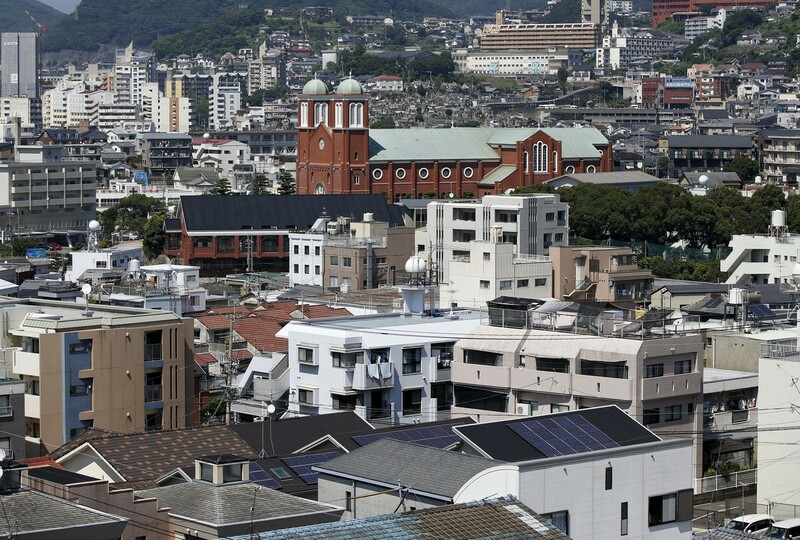 The Urakami Cathedral, which was rebuilt in 1959, is seen in Nagasaki, on July 31, 2015. 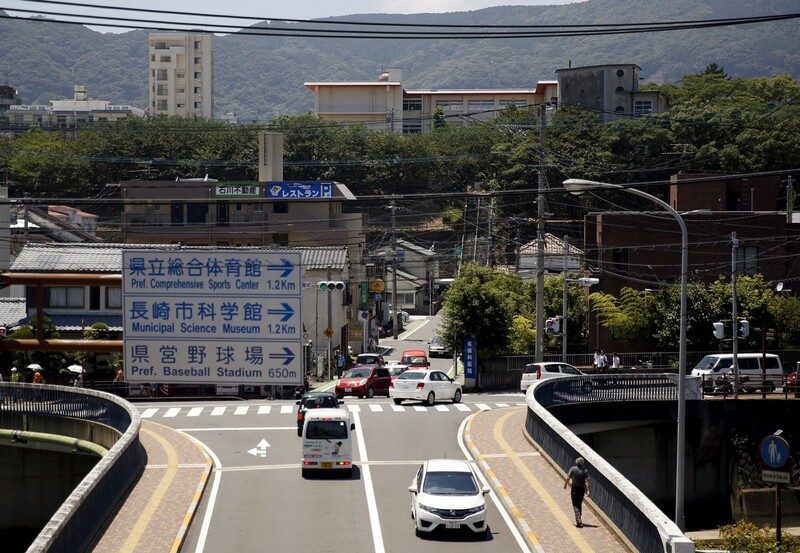 Both Hiroshima and Nagasaki are now thriving commercial hubs. 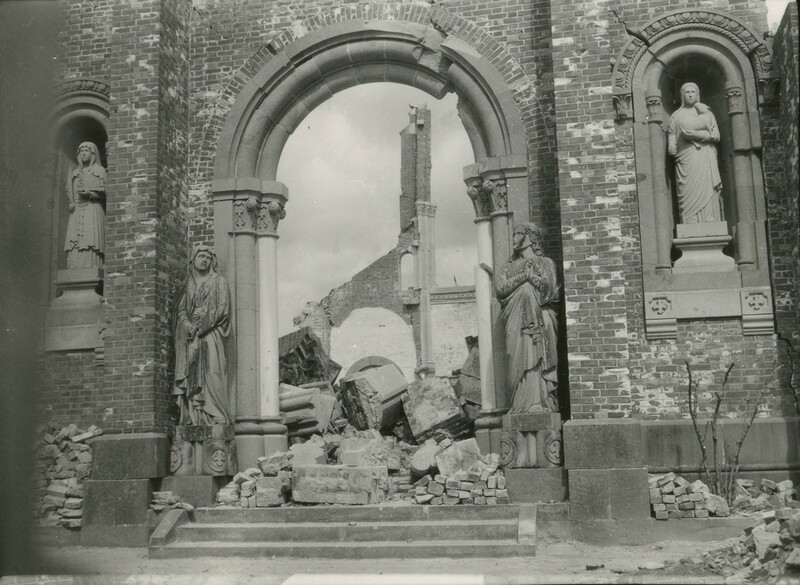 The south face of Urakami Cathedral, which was destroyed by the atomic bombing. 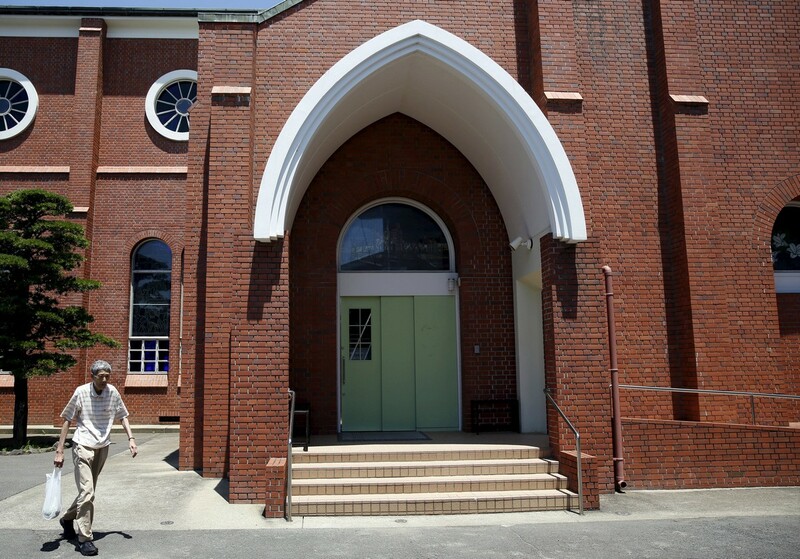 A man walks past the south face of Urakami Cathedral today. 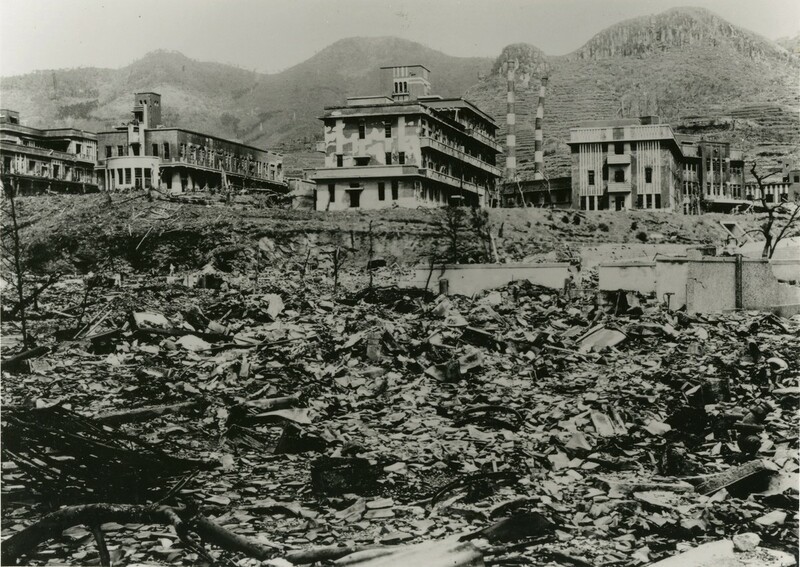 Nagasaki Medical College, which was damaged by the atomic bombing of Nagasaki, which killed some 74,000 people. 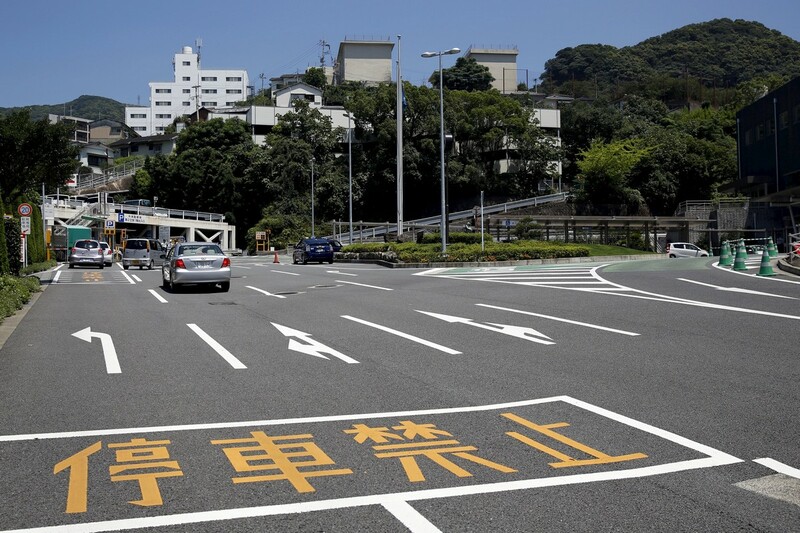 A parking space for Nagasaki University Hospital, built on the former premises of Nagasaki Medical College. 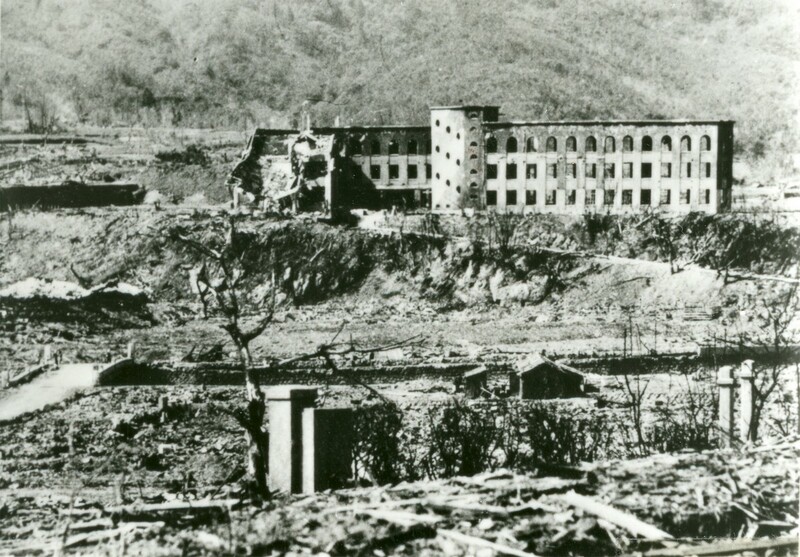 The Shiroyama National School (above C), which was damaged in the atomic bombing of Nagasaki. The Shiroyama Elementary School today, which was built on the former site of the Shiroyama National School. A mushroom cloud of the atomic bomb dropped by B-29 bomber Enola Gay over the city of Hiroshima. This article was first published on August 5, 2015.